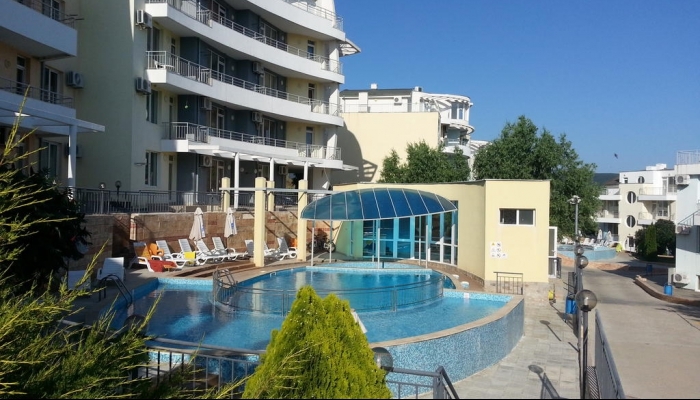 Clements Properties offer this fantastic 4th foor pool view two-bedroom apartment for sale at the centrally located Kamelia Garden 1 complex, Sunny Beach, Bulgaria. 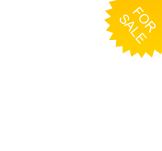 All furniture and appliances are included in the price. The apartment is sold fully furnished, to sleep up to 6 people. The apartment is very spacious at 92 sqm and has two balconies - one from the living area facing the pool and the second is accessed from the bedrooms and faces the back of the complex. 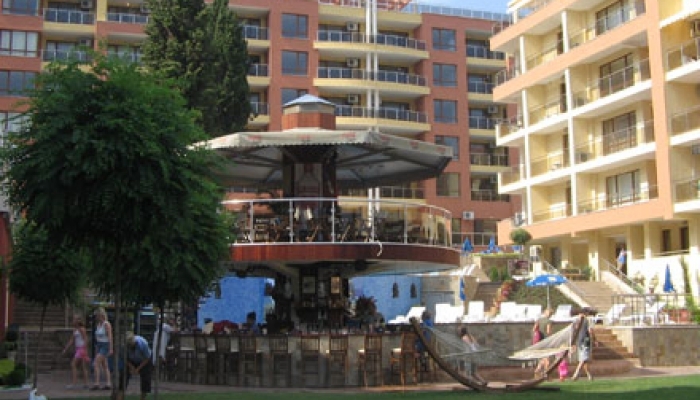 Holiday village "Kamelia garden" was opened at the beginning of the summer season 2006. 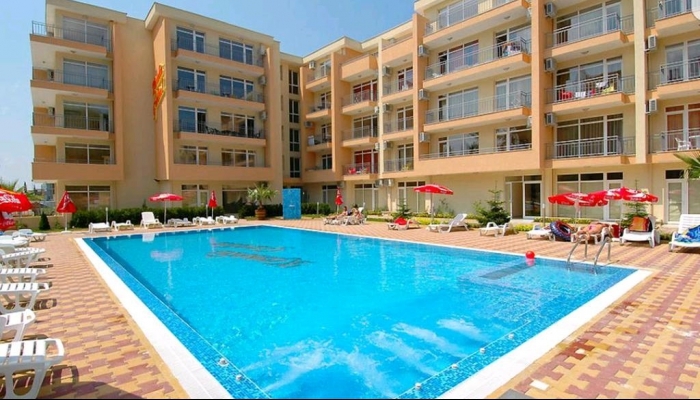 The complex is situated in the middle part of Sunny beach in close proximity of the main road, near supermarket, restaurants, bars and a bus station. "Kamelia garden" complex is a combination of two swimming pools, children playground, a water bar, an open area for lounges. The sandy beach is a 5/10 min.walk from the complex.